The interior light comes on regardless of whether the doors are open or closed. 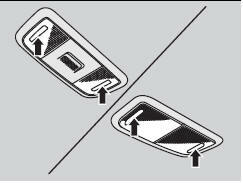 The interior light comes on in the following situations: • When any of the doors are opened. 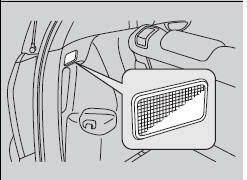 The interior light remains off regardless of whether the doors are open or closed. 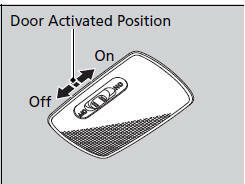 In the door activated position, the interior light fades out and goes off about 30 seconds after the doors are closed. • When you unlock the driver’s door but do not open it. • When you lock the driver’s door. • When you turn the ignition switch to ON (w.
If you leave any of the doors open without the key in the ignition switch, the interior light goes off after about 15 minutes. The map lights can be turned on and off by pressing the lenses. The light comes on when you open the tailgate.